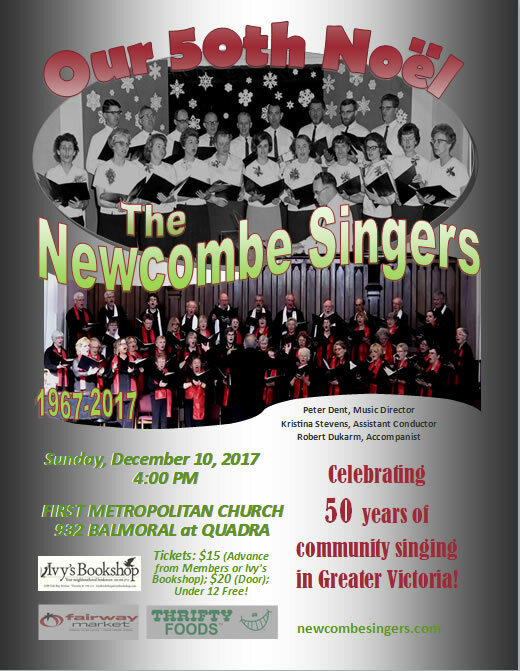 Celebrating 50 years of community singing in Greater Victoria! Five decades past our First Noel (smile) we are still going strong and celebrating the Yuletide season with festive choral music. Come enjoy this eclectic blend of traditional carols, some sacred songs and sublime modern works.